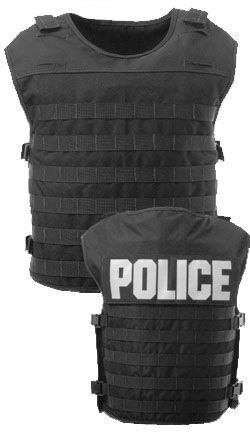 A police tactical vest is often an officer’s best friend, or at least most critical piece of protective gear, for many combat situations. Plenty of SWAT team officers can attest to the importance of tactical vests and body armor, especially when it is this gear that ultimately saved their lives. Proper gear and tactical vests are used by the military as well in many combat situations for added protection, survivability, and of course to carry additional gear like extra magazines, flash bangs and other important equipment. Be battle ready throughout the mission with Blauer’s armor carriers and tactical vests. The United States Marine Corps uses a modular tactical vest that has both tactical and defensive advantages. 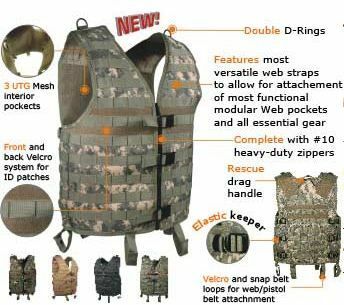 The modular tactical vest has multiple armor plates that fit into the vest to provide protection to the chest, side torso, back, and shoulders. The USMC has used tactical armor since the early 1980s, starting with a piece called Interceptor Body Armor. The United States Army and other military groups also use similar vests for protection and tactical superiority. Gear up for your next mission with Blauer’s Armorskin! Law enforcers use police tactical vest and armor carriers for a number of different operations. Blauer has created a revolutionary new product called ArmorSkin, which is meant to be worn over a police officer’s existing armor carrier to conceal it. This protective clothing serves to protect you in the most discreet way. ArmorSkin also has pockets for armor carriers to be inserted directly into the vest. Since the ArmorSkin vest looks like a uniform shirt, it looks sharp and allows officers to maintain a positive and authoritative image while maintaining a tactical advantage. Great tactical advantage is gained once the Armorskin is worn. Protecting yourself from the enemy has never been this easy and unnoticeable!